Successfully starting a garden requires some careful planning. Many elements of the garden, including walkways, pathways, ponds and lighting, should be installed before planting flowers and shrubs. Gardens add joy and beauty to the landscape, but also require care and maintenance. Consider all factors prior to embarking on your garden project. The first step is to choose the type of garden you'd like to plant. Will you grow vegetables, herbs, flowers or a combination of plants in a kitchen garden? Next, choose the style for your garden. 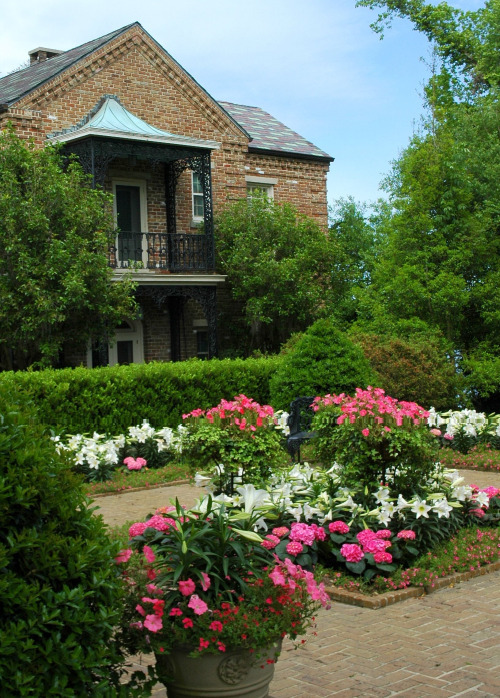 Styles include format gardens, which feature symmetry and balance, historical gardens, kitchen gardens, cottage gardens, monochromatic color schemes, and much more. Plan the garden layout using graph paper. Mark the pathways, entrances, and fixed items such as lawns, ponds, water features, or sheds. After determining the location of lawns and garden beds, it's time to improve the soil. Have the soil pH tested and add lime or other amendments as necessary. Adding compost and composted cow manure adds nutrients and improves the soil. Add major garden features such as ponds, walkways and patios before planting flowers. You can tackle this step while you prepare the soil for the garden beds or before you create the beds, but all hardscapes should be in place before adding trees, shrubs, flowers and grass. Trees, shrubs, flowers, herbs and vegetables complete the garden. Choose plants based on their light requirements and your gardening zone. Remember to leave plenty of space among trees, shrubs and perennial flowers; they'll get bigger each year! After completing your garden, keep in mind routine maintenance is necessary to flourishing. Regularly watering, fertilizing, mulching and pruning keep the garden looking beautiful.